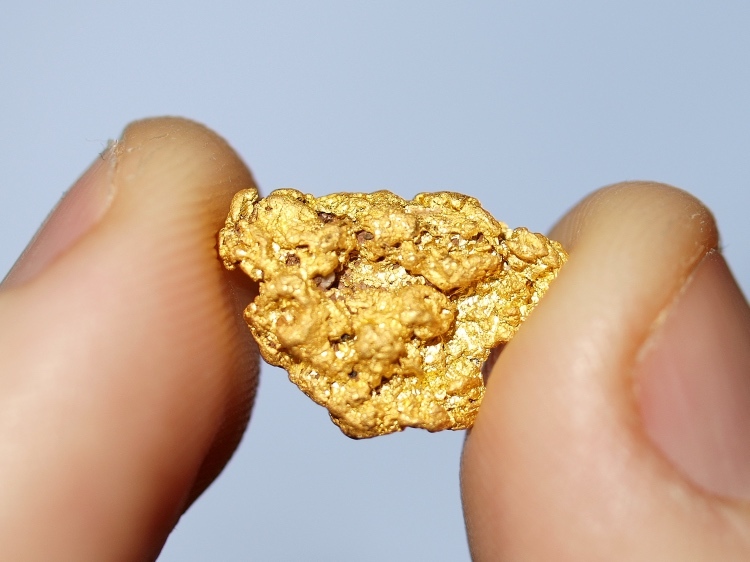 Some of the highest concentrations of gold are found in ancient Tertiary gravel deposits. These are locations where a river once flowed millions of years ago, but is now located far from the existing river. The process of erosion essentially leaves the old river channel “high and dry,” stranding the gold far away from the existing river. 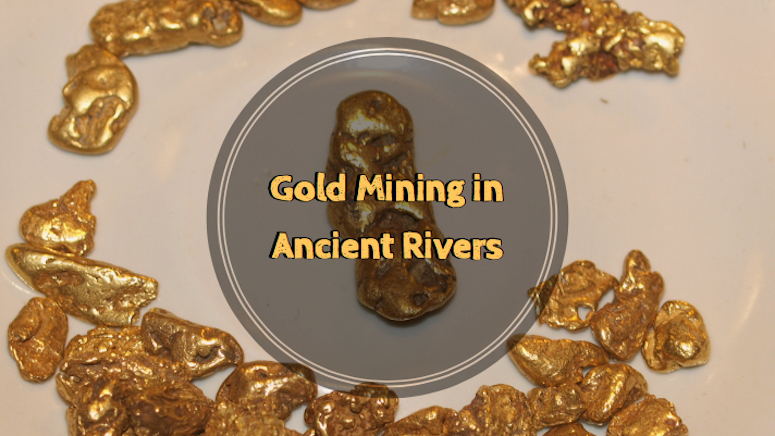 These gravel sources concentrated placer gold in the same way that it does in an active river today, but unlike current placer deposits, these ancient rivers are often easily missed by prospectors. Most gold panners go right to the water’s edge, not realizing that some of the richest gravel is found up the mountain behind them. Many prospectors have a difficult time understanding how a river channel could be found way up on a mountain. And it is true that there are exceptionally rich gravels that are found thousands of feet high up on mountains. Geologic time is difficult for many to grasp. We are not talking about hundreds or thousands of years here; we are talking about MILLIONS and MILLIONS of years. Much has happened to the geology of the Earth in that time, and many gold rich areas are located near fault lines where there is an abundance of geologic activity. Over millions of years, mountains rise, rivers change course, and yes, rivers become lifted and stranded on hillsides. 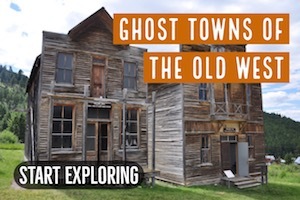 Have you ever wished that you could go back in time and mine back when the early gold rushes were active? The rivers had never been touched before, and in some places there was gold literally untouched throughout the history of the world. Well unfortunately, we can’t go back to that time, and there is unlikely to be any large placer deposits discovered again. 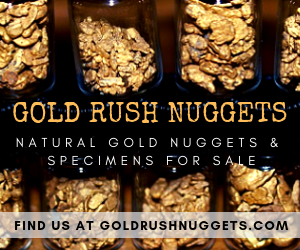 Basically every large creek and river has been prospected, and while there are certainly small gold deposits that are still waiting discovery, the rich placer mines that occurred like at places like the American River in California or the rich placers in Alaska just aren’t going to happen again. Yet there are STILL ancient rivers that are hidden and yet to be discovered, many of which may be even richer than these famous rivers! You must look for indicators of ancient river channels. In places like the Mother Lode of California, it is known that there are rich Tertiary gravels all throughout this part of the country, but they have not all been located or mined. The most obvious indicators are round, smooth rocks just like you would find in a river today. Realize that a smooth waterworn rock would not be found up on a mountainside unless it was once part of a river channel. Tertiary gravels are often found in seams that will stand out among the other rocks in the area. A strip of smooth gravel will simply appear for a short distance among a completely different type of host rock. These are ancient river channels, and could very likely be gold-bearing. While ancient rivers are certainly found hundreds or even thousands of feet above the present waterline, often they are just a short distance above it, say 20 t0 50 feet. The erosion process of the river has simply cut past the old channel leaving some gravel benches exposed. So be on the lookout for these areas. So how do you mine these ancient rivers? Well much in the same way that you would sample any other river or creek. The main difficulty is that there is no water present, so the gravel will need to be transported to a nearby creek or river. 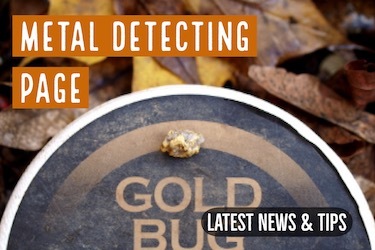 Depending on how far away that is will affect how efficient your mining operation may be. Simply classify some of the gravel and run it through a sluice box or pan it out to see if it contains any gold. 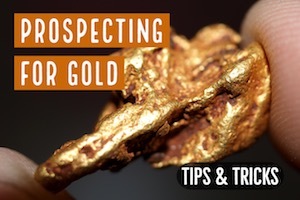 Just like other types of prospecting, you will want to sample many different locations and try to find areas that have the highest concentrations of gold. 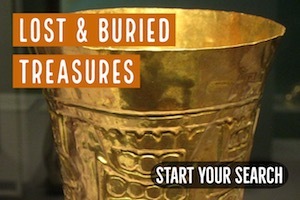 Another way that many people like to search for gold in ancient rivers is to use a metal detector to find gold nuggets. 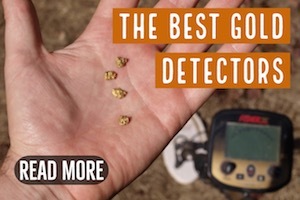 This can be a very efficient way to find gold, with the added benefit that you don’t need water to use them.